Let’s face it: no one knew quite what to do with the notion of Drew Barrymore and Timothy Olyphant in a dark family comedy for Netflix, at least until they threw in the blood. Yes, the Santa Clarita Diet has far more going on beneath the surface, and that bloody truth comes to light in a first full trailer for the February premiere. 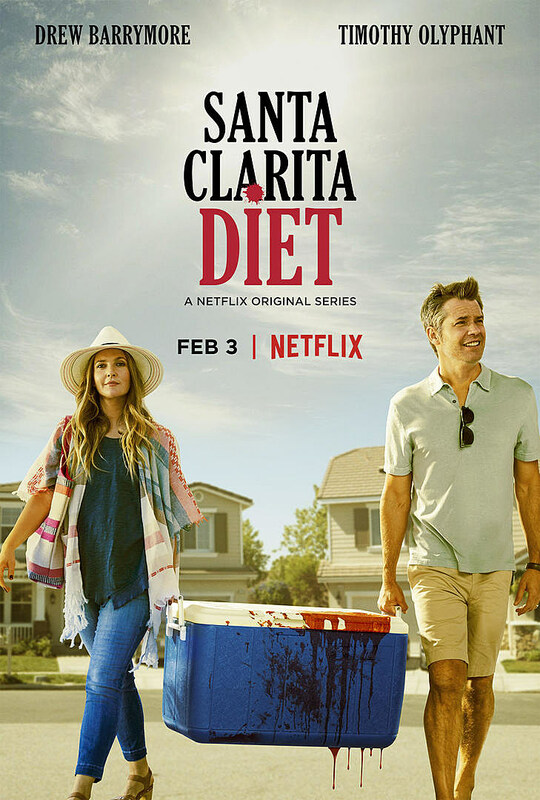 As you’ve likely heard by now, Netflix’s Santa Clarita Diet features Drew Barrymore’s character Sheila Hammond in a sort of zombie-like state, though the characters aren’t particularly partial to that word. In either case, murder becomes family business by the first trailer, which also features notable guest stars like Patton Oswalt and Nathan Fillion. We’ll see more on the road to February, but what do we make of the first footage?